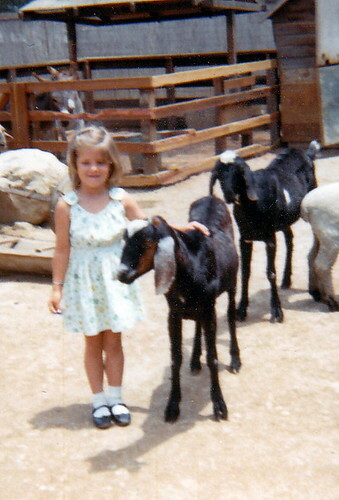 I’ve been a goat fan from way back. Now, who is the lucky family member who is going to get a goat given in their name? ← How WAS your morning, Suebob? I hope the goats make up for the nasty dogs. Why were you in a “goat contest?” and where will it go to live? PK’s? Another blogger was promoting Oxfam and their “gift catalog” where you can give an animal to someone in need so they can raise money as businesspeople, rather than giving them a direct donation. I won the right to give a goat in someone’s name. So someone is getting a Christmas surprise this year – a goat donated in their name! I was just about to say exactly what Maggie did! I wonder how a big billy goat would do with the dogs…those goats can be pretty tough. I got woefully behind on my reader and couldn’t seem to catch up. I kept saving Red Stapler because I didn’t want to skim through, I wanted to know what was going on. Fast Forward to today, about a month later, I finally read through the last 5 posts on the old feed and all the new ones here. Yay for new digs! Love it. Congratulations on the goat. How cool is that? I totally get leaving the dog with your mom anyway. It’s probably not a bad deal for Goldie, too. I bet she gets spoiled. Awesomeness? You already have it. I love the phrase about Laura graduating early. Maybe you need to give that lady a plastic bad so she’ll just shush now. My mother is a food toucher. She doesn’t care if it mushes together, she makes interesting combos sometimes. I like my foods separate. Suicide Dessert guy? He needs to do that in the privacy of his own home ’cause that’s illegal in 14 states and the internet. Trust me on this. Again, yay for new digs! I am glad you caught up. And I’m happy about new digs, mostly because of threaded comments! Yay. If I could have just held on to any scrap of that cuteness.